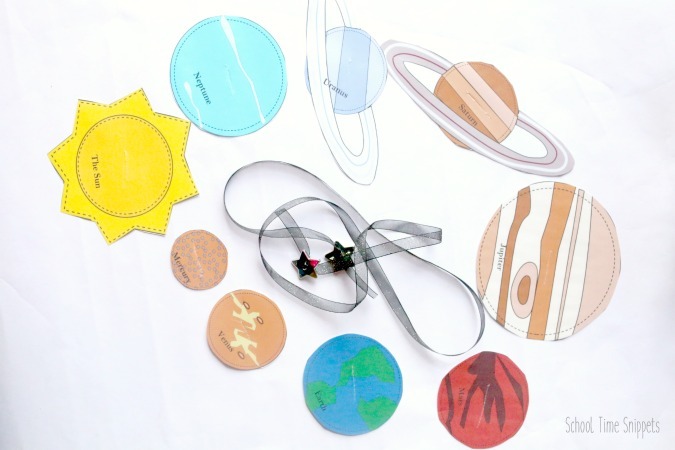 Learn about the order of the planets in our solar system with this clever Solar System Button Snake! It's a great way to intertwine science and fine motor skills for little hands-- perfect for preschoolers, kindergartners, or even early elementary kiddos! 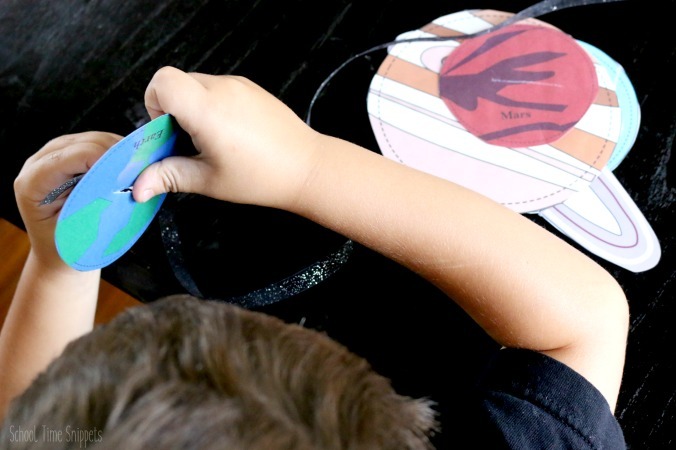 I simply added this hands-on outer space activity to our homeschool activities for my preschooler, and when he saw the time, we learned the order of the planets together! I am still getting used to the fact that Pluto is no longer classified as a Planet, but a Dwarf Planet. Poor Pluto! I remember coming across the names of the EIGHT planets thinking, "Wait! There is a typo... that's not right!!" but sure enough, other books and a google search said the same thing. On the bright side, one less planet to memorize?! Ha! *Please note that the planets were not made to scale* Books can give you that information; I just created a fun way to learn the order of the planets! Begin prepping the activity by printing the Solar System printable included at the end of the post. 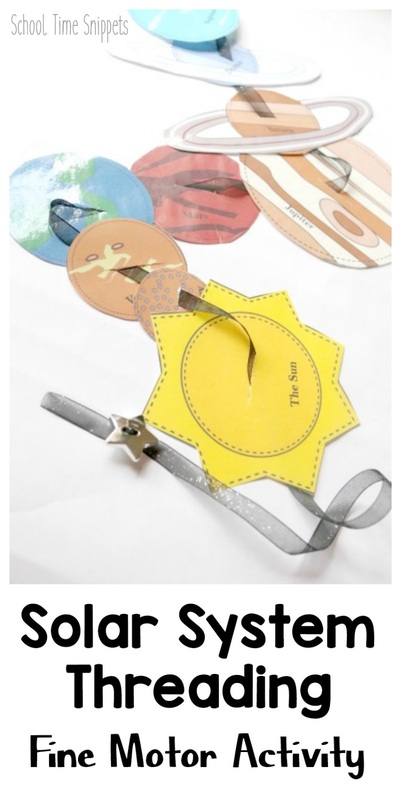 Laminate the sheets for durability and cut out each individual planet and sun. Cut a slit in the middle of each planet and sun; for this is how your child will thread the ribbon through each planet. Next, prep the ribbon. Depending on the buttons you choose to use, you may need to use a needle and thread. I was able to find two silver stars with holes large enough that I was able to thread the ribbon through the holes and then tie a knot to keep the buttons in place. Put a button on both ends of the ribbon. 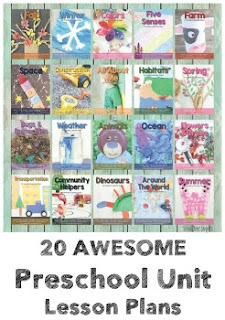 Read a few books about the planets in the Solar System and share the names of each printable planet. 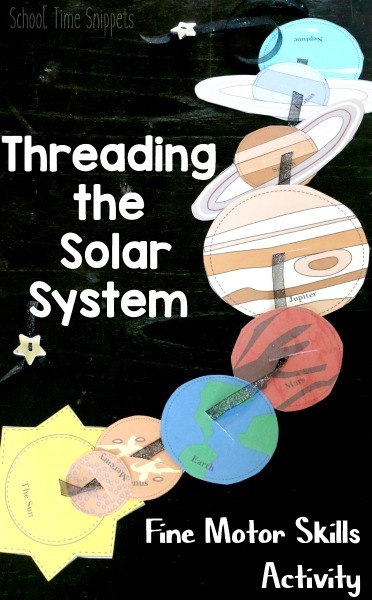 Encourage your child to thread the planets on the button snake in the order they appear in our solar system. Thread the sun on first as all the planets revolve around the sun. Next, continue with Mercury, Venus, Earth, Mars, Jupiter, Saturn, Uranus and Neptune. As your child is learning about the planets in our solar system, they will also be strengthening those fine motor skills! Such a great way to Learn & Play today!! Here are some more fun ways to learn about the solar system! Enjoy! 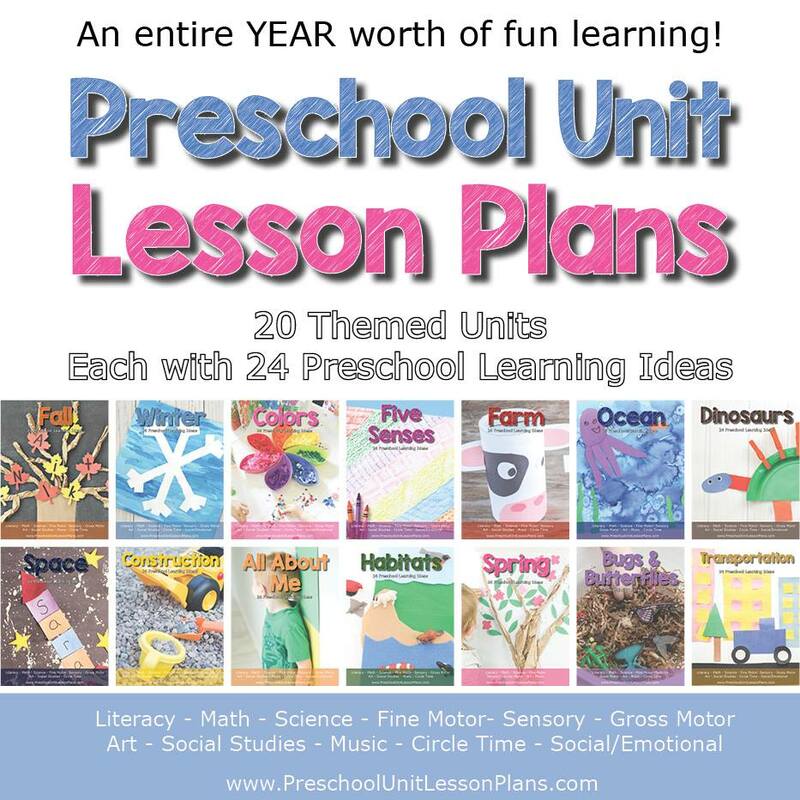 If you are looking for more fun ways to teach your PRESCHOOLER about space, look into our Space Unit Lesson Plans, which contain 24 more printables & activities!